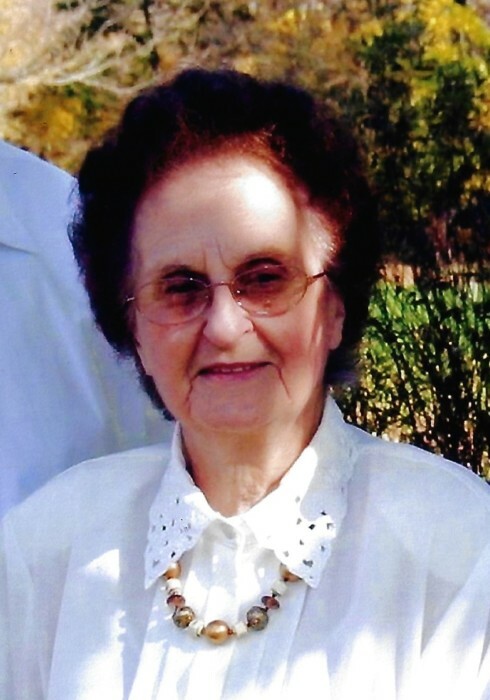 Deltha Murphy, age 92, passed away Friday, Nov. 16, 2018 at her home in Osceola. Deltha was born Aug. 29, 1926 in Williford, AR to the late Jay and Maude (Fletcher) Stalnaker. On July 20, 1946, she married Emmit Murphy. He preceded her in death, passing away on Mar. 10, 1984. Surviving are her children Ronnie (Kathy) Murphy of Osceola and Judy (Dan) Turner of Goshen. Also surviving are her grandsons Todd (Jennifer) Grubb, Rich (Cheri) Murphy & Mike Murphy, as well as 3 great grandchildren, Aden, Brenna and Andrea. Deltha was preceded in death by her siblings Eula and Everett. Visitation will be held from 4-7 pm Fri. Nov. 23, 2018 at Cruz Family Funeral Home in Osceola. There will also be 1 hour of visitation prior to the 11 am Funeral Service on Sat. Nov. 24 at Cruz Family Funeral Home and interment will follow in Osceola Cemetery. Deltha was employed for many years as a Quality Control Inspector at Federal Paper Board before retiring at the age of 62. She and Emmit moved to the Michiana area 67 years ago and became members of the Osceola General Baptist Church shortly thereafter. She loved her family and would go out of her way to help anyone who needed her. In her memory, donations may be made to St. Jude’s Children’s Research Hospital. To leave an online condolence or light a virtual candle in her memory, please follow the links provided on the Tribute Wall tab above.